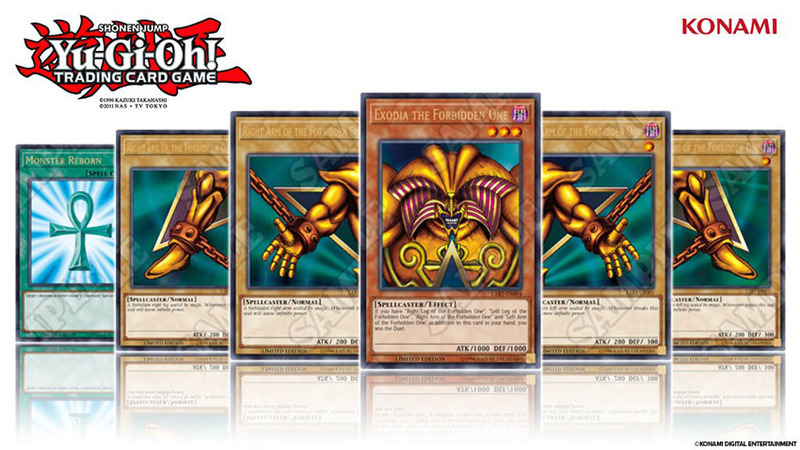 The Lost Art Yu-Gi-Oh Promotion | Millennium Games | Over 1,000 Games! Celebrate the Original Collectible Game with these special Promotional Cards featuring the most Iconic cards from the Yu-Gi-Oh Anime! Each Month, you can get a copy of one of the pieces of Exodia or Monster Reborn with awesome alternate art only available in Japan until now. While supplies last, Spend $30.00 in Sealed product at Millennium Games and receive a promo card for free. You can only get 1 copy of each promo card per month. Any sealed product is valid, including Structure Decks, Special Editions, Booster Packs, Booster Boxes, and Tins. Each month will feature a different card, so make sure you stop in once a month and make your purchase, otherwise you will miss the boat and they will float away once more.